I was forwarded the following infographic from OnlineCollege.org. While I'm not normally one to just regurgitate someone else's posting (especially advertising), I think this one is worth looking at -- especially if you're at a point where you're contemplating future career or learning plans. I'm pleased to announce that DEY Storage Systems, Inc., along with Joyent and other community members, is sponsoring the illumos and ZFS Day taking place in October 1st and 2nd at the Children's Creativity Museum in San Francisco. My partners and I will be in attendance, along with a few other of my colleagues, and we'll be speaking on related topics. Additionally, Joyent is hosting the 2nd illumos hackathon at their facilities on October 3, and we will definitely be participating there. We had a blast doing this last year (some excellent work came out of it), and we're looking forward to doing it again. If you can make, I hope you'll register. The event itself is free, and while there will be online recordings of the material, its more fun to get together in person -- especially with a beer or three. (Did I mention there will be a Solaris Family Reunion party on Monday night? 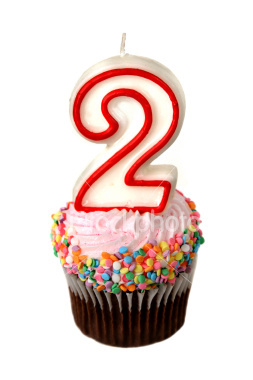 In many ways, I view this event as a belated 2nd birthday party for illumos, so I hope you'll join me in celebration. With the recent announcement and discussion around OpenIndiana, I think its time to bring to the light of day an idea I've been toying with for a while now -- and have discussed with a few others in the community. illumos needs a reference distribution. Now just hold on there... before you get all wound up, let's discuss what I mean by a reference distribution. A reference distribution should be a base for additional development, and testing. It should support automated installation for mass deployment in test lab/QA/build farm scenarios. It must support "self-hosting" -- i.e. illumos-gate itself should be buildable on this distribution -- with as few additional steps as possible. It should be a reasonable (but not the only reasonable possible) base to use for other distributions looking to build on top of it. Ideally it should be pretty darn minimal. Community driven - it contains the things that the entire community agrees upon as our common core. It must require only a modicum of effort around release engineering - none of these multi-week release cycles. It should be released biweekly with a numbered build, and probably also have nightlies. These should be automated. Multi-platform - i.e. it needs to support both SPARC and x86. As a common reference, it must use illumos-gate verbatim, i.e. no local changes. Subject to the whims of any corporate entity. OpenIndiana is too big and unwieldy -- both to build, and to install. OpenIndiana maintains their own fork of illumos-gate. OpenIndiana needs the freedom to follow their own course - without being too strictly tied to illumos-gate. OpenIndiana is not built for SPARC. So, here's what I propose we do instead. I propose that we start with OpenIndiana or OmniOS, but using core illumos-gate (no fork), and we remove things that are not relevant to the reference. E.g. Gnome, etc. We will need lots of assistance with release engineering - I want a formal RE plan in place for this thing, with regular scheduled builds and releases following the "train" model rather than the "station wagon" model. We will need to set up some central build and test servers. (I hope to get some funding for this through the Foundation). We will need to have formalized QA. (Imagine a Jenkins instance that ran a build and regression test group every night. We do not need "an installer". So the image can just be a basic ISO or tarball, probably. Think minimalist. I don't want any customization in the installer, excepting possibly the identification of the initial disk to install to. Ultimately, if we're very successful, then this will help the entire illumos community. This reference may ultimately be useful to become a base for OpenIndiana or OmniOS to build upon. Put another way, I want to make OI's job easier, but I don't intend that this should replace OI. So, what do I want from the community? I want to hear from people who think this is a terrible idea. A descriptive criticism of concerns is far more useful than just another +1. (If you want to +1 it, do it using Google or FB to like it -- don't add a +1 comment.) Post your concerns directly to this thread, so that we can keep them for posterity. I want to hear from people who want - and are able - to actively contribute to this. Most of this effort will be volunteer based initially, but I think we'll eventually need to staff some work from the Foundation. Corporate sponsors may help here as well, either by loaning of resources, or gifting of earmarked funds. To be clear, I'm not 100% set that this is all the way to go -- but I'm heavily leaning in that direction. While I can't force the rest of the community to follow along, I can allocate resources to it, and I want to make sure that we can address any major concerns before I start investing resources here.